He studied Philosophy at University College in Dublin and did his post-graduate work at St. Louis University. Fathers first assignment was in the Diocese of Jefferson City in 1971 at Mexico, Missouri as Associate Pastor and later Associate Pastor at Our Lady of Lourdes, Columbia. 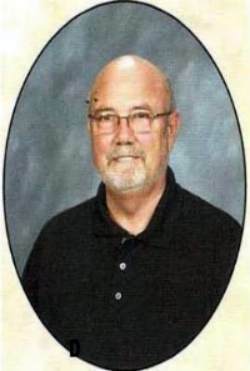 He spent five years as teacher and spiritual director at the Helias Catholic High School in Jefferson City. Father volunteered for work in Peru as a missionary priest of the diocese. He spent 11 years in Nasca, Peru. On his return from Peru, Father served as pastor at Salisbury and Boonville and eight years at Immaculate Conception in Jefferson City prior to being assigned as the Pastor at the St. Patrick Catholic Church in July of 2010. Father has four brothers and four sisters and loves to visit them in Ireland. Fathers favorite hobby is fishing for trout or crappie and he loves to hunt, especially quail with his dog, Rex. Father Bo was ordained in 1954 for the Diocese of Kansas City-St. Joseph, Missouri. He served in Immaculate Conception in St. Joseph. He assisted the Benedictine Sisters of Atchison, Ks in establishing the Bishop LeBlond High School in St. Joseph, MO where he was a teacher and counselor for several years. He also taught at Christian Brothers High school in St. Joseph. 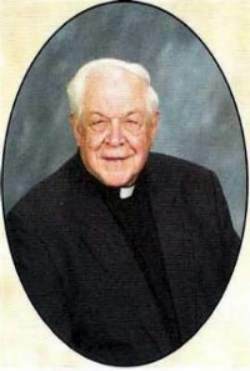 He was Assistant to the Superintendent of Schools with responsibility for the parochial schools of the St Joseph area. 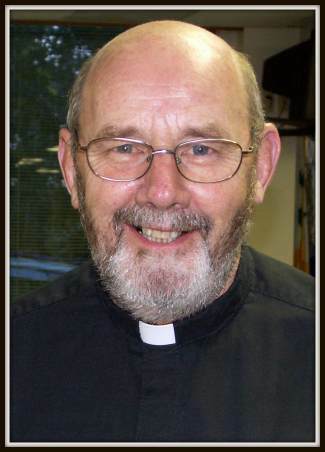 Father Bo was also Director of the office of Catholic Charities in St. Joseph, Missouri for several years. Father also served in the Kansas City area: St.Augustine, St. Patrick, K.C. North and was founding Pastor of the parish of St. Joseph The Worker in Independence, MO. He moved to the Lake of the Ozarks in 1993 where he assumed the position of Associate Pastor at St. Patrick Catholic Church and Pastor of St. Philip Benizi parish in Versailles, MO. 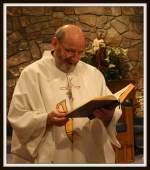 Deacon David Lovell was ordained in 1993 in the Diocese of Des Moines, Iowa after completing Diaconate formation at Conception Abbey, Conception, Missouri. His first assignment was St. Patricks Catholic Church in Missouri Valley, Iowa until moving to the Lake of the Ozarks in July, 2008 where he currently ministers here at St. Patrick Catholic Church. Ministries served: Divorced and Widowed, RCIA, Confirmation, Religious Education, Marriage Preparation and Annulments, Ministry Training, Hospital Chaplain and Prison ministry. 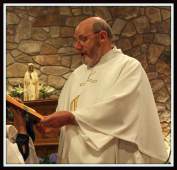 Deacon David and his wife Ellen have four children and five grandchildren.